Microsoft sees a future without passwords in Windows 10 Insider Build 17093, at least for Windows 10 S users. Microsoft has quietly worked to downplay passwords via PIN codes, fingerprint sensors, and even facial recognition. But actually killing them entirely within Windows 10 S is one of the key changes coming with what may be called the Spring Creators Update, code-named ‘Redstone 4,’ expected to launch in late March or early April. The build, which launched Wednesday, also includes new multi-GPU graphics settings, improved eye tracking, quicker connections using Bluetooth, and clutter-free printing, among others. Let’s take a look. Why this matters: We thought Microsoft was done with Redstone 4 features when the last build hit a couple of weeks ago. This feature-filled follow-on build gives Microsoft a chance to shoehorn in a few more stories. 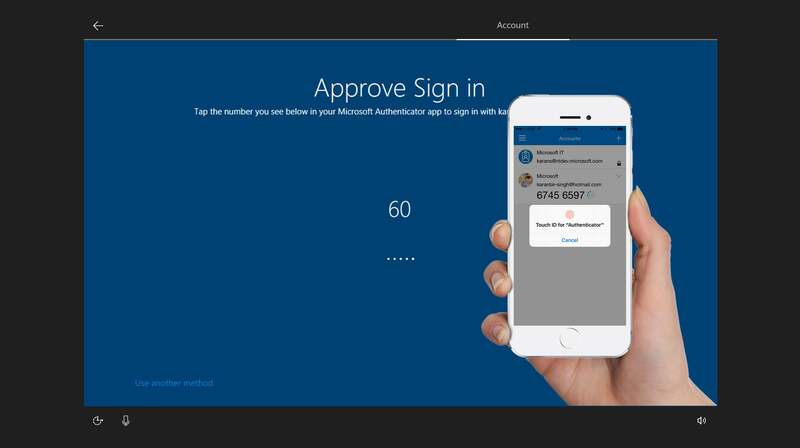 Last October, one of the hidden features within the Windows 10 Fall Creators Update was a mechanism to eliminate passwords and replace them with an authenticator app—but the feature didn’t actually do anything. Now it does. A password, of course, is the traditional way of accessing Windows—but it’s a pain to remember and change. Within Windows 10, Microsoft implemented shortcuts of a sort, including a short PIN code or logging in with your face or fingerprint via Windows Hello. But setting those up required a password, too. The Authenticator app generates a unique code every minute. Now Microsoft is using its Authenticator App for Android and iOS, which spits out an 8-digit code every minute that’s uniquely keyed to your phone. It might not replace a good, strong, unique password, but an attacker would need to have access to a (hopefully) secured phone as well as your PC. To set up Windows Hello or a PIN, you’ll need to enter the Authenticator code instead. Though this is an Insider build—meaning that it could eventually change—Microsoft implies this is a permanent decision. “With the changes in this build, your Windows 10 S PC will automatically make your experience password-free,” Microsoft wrote in a blog post. What if you don’t own a smartphone? At this point, we’re not sure. Many PCs, from the Surface Book 2 up through the most powerful gaming desktops, use utilities from AMD or Nvidia to manage which GPUs power selected apps. Why waste the power of a GTX 1080 Ti on Microsoft Edge when your integrated CPU can handle it instead? Windows wants to decide which GPUs power which apps. 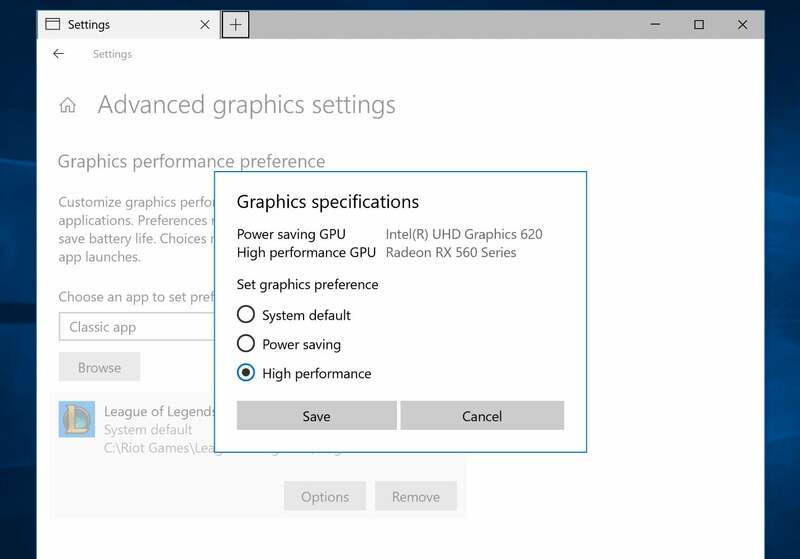 Within Build 17093, you’ll have the option to enter Settings > System > Display, go to the Advanced graphics settings menu, then go app by app and select which ones are powered by the “power saving” GPU, and which will use the “high performance” option. If you don’t wish to choose, the default option, “system default,’ will let Windows decide for you. Each app will have the power to overrule Windows, so if your game decides it needs the extra horsepower, it’ll take it. But Windows will sometimes seize GPU control from the Nvidia and AMD utilities, too. Pairing a new Bluetooth device is often a two-step process: You trigger the device’s pairing process, and then you initiate the process within Windows. With the new Insider build, Microsoft has streamlined one of the steps. If a Bluetooth device is in range and ready to pair, you’ll see something like this. 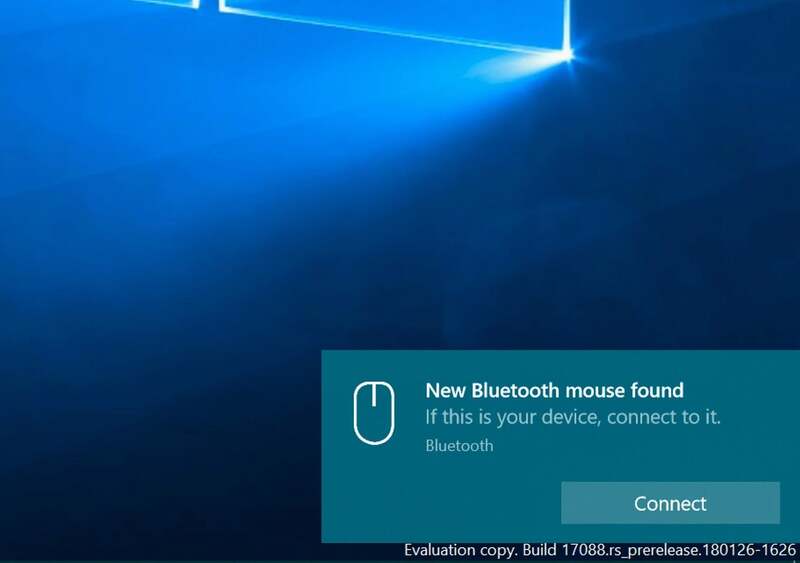 When a new Bluetooth device that’s actively trying to pair moves within range, you’ll see a notification slide out from the side of your Action Center. Clicking it will allow you to start the pairing process. The first device supported is Microsoft’s own Surface Precision Mouse, but Microsoft promises more are on their way. Certain browser features, such as Edge’s Reading View, attempt to de-clutter Web pages and format them in a way to make them easier to read. Edge’s new clutter-free printing does the same, just for printing. No one really wants to print the ads that accompany most Web pages, so why should you? 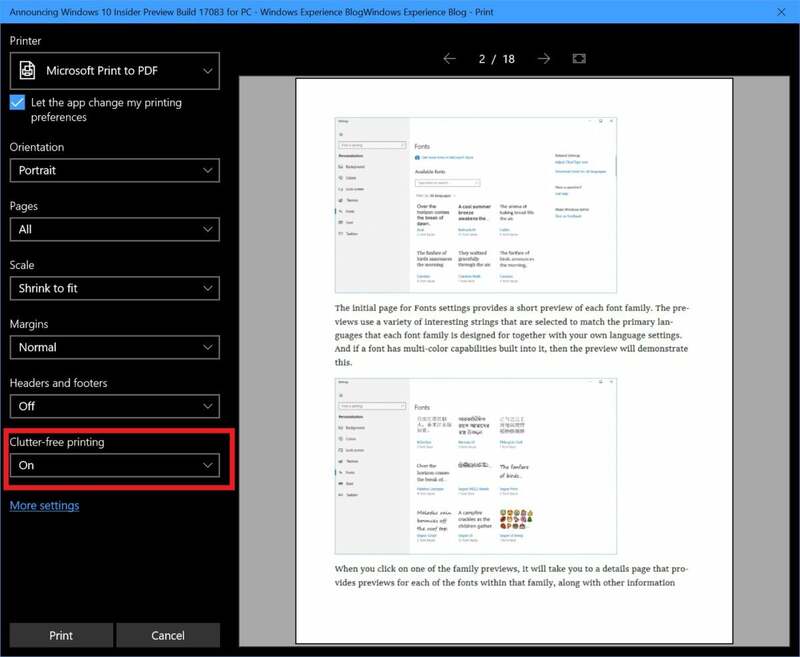 Edge now tries to clean up the page to facilitate a clean print job. 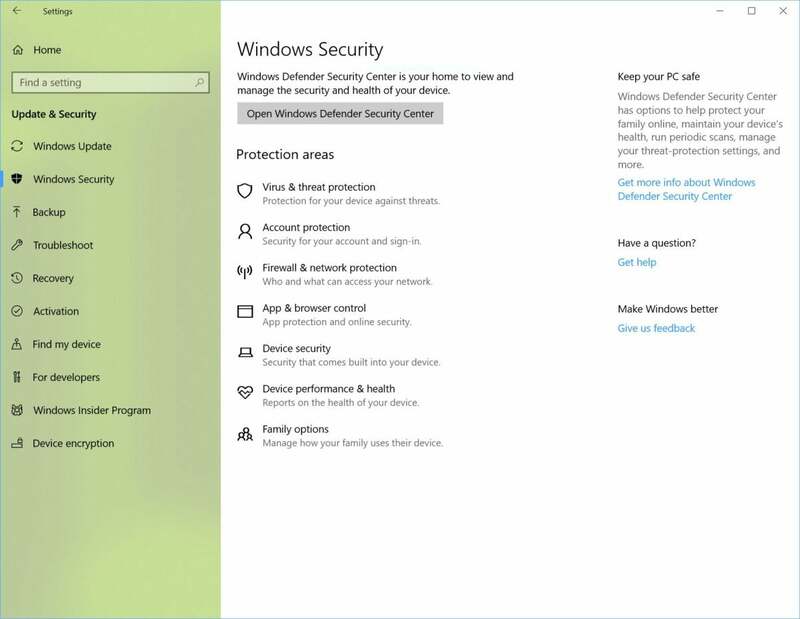 Microsoft has reworked its Settings > Update & Security page, renaming it Windows Security rather than Windows Defender. It appears that you’ll still see a “Windows Defender Security Center,” but Microsoft tries to do a better job of informing you of what areas it’s defending within your PC. A tweak to the Windows Defender page has renamed it Windows Security. As part of that proactive process, Microsoft will push you harder to secure your PC. “Account Protection will encourage password users to set up Windows Hello Face, Fingerprint or PIN for faster sign in, and will notify Dynamic lock users if Dynamic lock has stopped working because their phone or device Bluetooth is off,” Microsoft says. More and more GPUs and displays are gaining HDR capability, though the technology hasn’t quite pushed into the mainstream. Windows is moving in that direction, too. If you visit Settings > Apps > Video playback, you’ll see a test video, together with a couple of options. If Windows thinks your PC and display is HDR-capable, you’ll have the option to configure and toggle on HDR video, where applicable. (By default, HDR video uses the full brightness of your screen, so it consumes a little more battery, Microsoft says.) 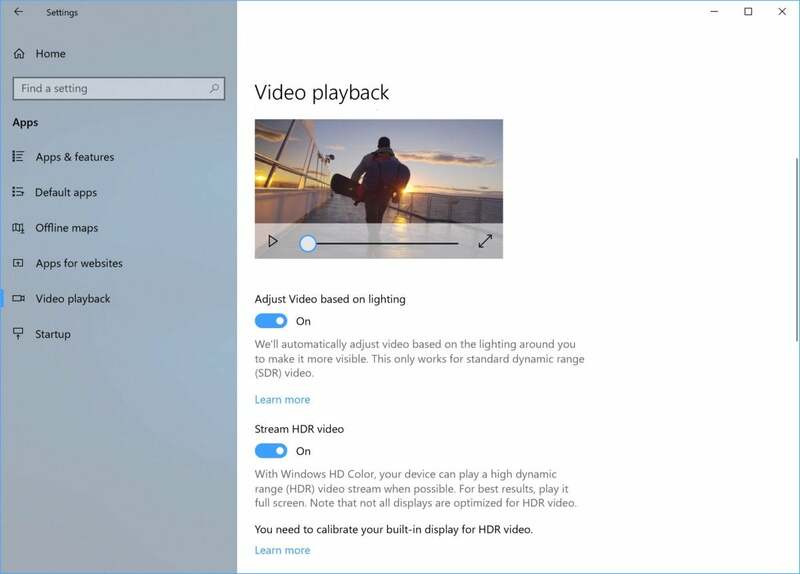 You’ll also see the option for Windows to adjust standard dynamic range (SDR) video to account for ambient lighting, if your PC has the appropriate sensors. Not everyone will use Eye Control, an eye-tracking technology which Microsoft pitches as an assistive technology. One problem with Eye Control is the laborious steps needed to do anything: You need to focus on a particular icon, then use a precise mouse control to line up the icon you need to interact with. 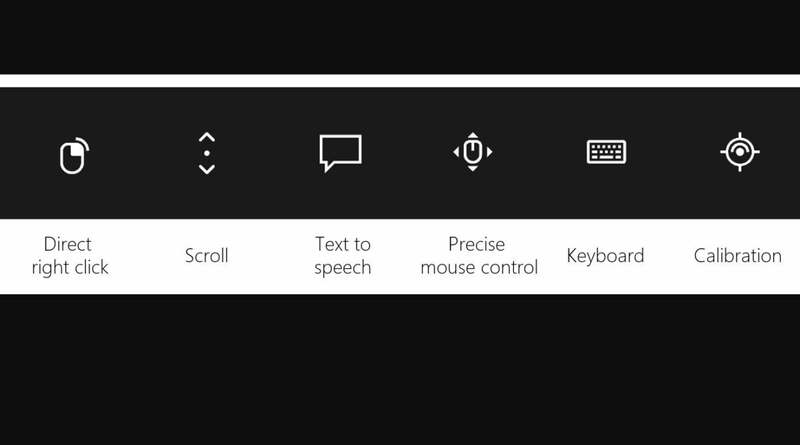 Windows will now include a row of shortcut icons to assist Eye Control users. In Build 17093, a series of shortcuts, from to the “Start menu” icon, to Timeline, and to Settings, are available, as is a “pause” icon. “Pause” essentially allows your eyes to wander around the screen and focus on what you wish—a character’s face during a streamed movie, for example—without making Windows think you’re trying to click. Microsoft really wants you to game and stream using its Mixer app, so it’s gussied up the Game Bar to help you out. There are a number of new icons to toggle off recording, mute your microphone, and more. Some of the shortcuts within the revamped Game Bar are shown here. Microsoft still hasn’t set a date for the release of Windows 10 ‘Redstone 4’ or the Spring Creators Update, but it almost won’t certainly happen until after mid- to late March. Microsoft should be wrapping it up, but it appears it’s not quite done yet.